Safety Arming Feature: Regardless the throttle stick position, the motor will not spin after battery connected. Brake Settings: The brake function can be enabled or disabled by a jumper connector. Battery Type: The battery type can be chosen by a jumper connector. 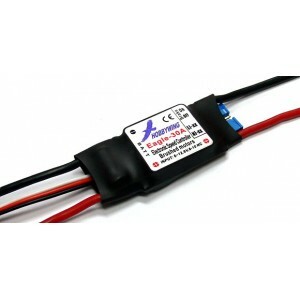 Low voltage cut-off protection to prolong the battery life. Over-heat protection to prolong the ESC life. Throttle signal loss protection for safe flight. 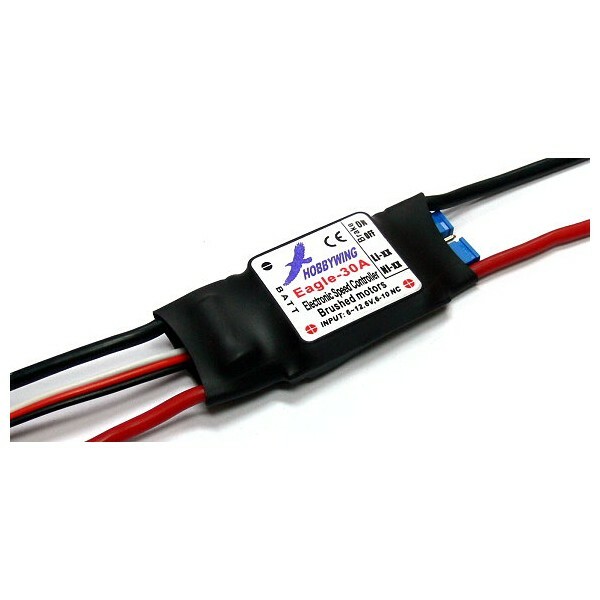 Compatible with lithium battery and nickel battery. User programmable by using the jumper connectors.